Arrow Sudoku puzzle was earlier called Assigned Sums Sudoku. 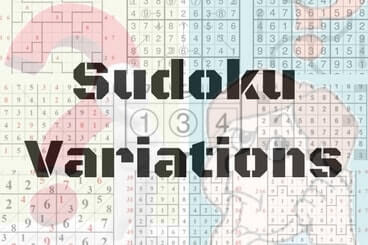 Now this Sudoku type is famous with Arrow Sudoku name and it is standard Sudoku type now. I will not be using Assigned Sums Sudoku name for this Sudoku type even though initially I have tried to use both of the names for this Sudoku type. In this Sudoku type some Arrows are given and digit which comes in the circled cell is the sum of all the numbers coming on the arrow path. One thing must be remembered that numbers can repeat on the arrow path. Arrow Sudoku contain mathematical calculations which are limited to addition of few numbers. This makes this Sudoku type very interesting. Arrow Sudoku is one of my favorite Sudoku type. To solve Arrow Sudoku puzzles, one should be looking for the arrow which covers largest part and then assign minimum digit possible to each cell from where this arrow passes. This will give the minimum number possible for there circled cell. 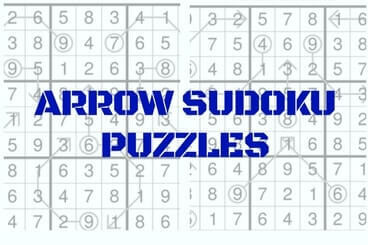 I will be posting link to all Arrow Sudoku and its variation puzzles on this page. Place a digit from 1 to 9 into each of the empty cells so that each digit appears exactly once in each row, column and 3x3 outlined box. Additionally the number placed in a cell with a circle must be the sum of the numbers placed in cells the adjoining arrow passes through. Numbers may repeat on arrows. Arrow Sudoku Rules apply. Additionally each marked diagonal must also unique numbers i.e. numbers from 1-9 only once.